All world languages have unique language codes. Language codes are not case sensitive. Language codes of Bhojpuri include: ISO codes, Glottocodes and linguasphere. The Bhojpuri language codes are useful for shorthand designation for indicating this language. The linguasphere of Bhojpuri language code: 59-AAF-sa. Get to explore in detail About Bhojpuri Language. What is Bhojpuri Language Code? The code that assigns short alphabetic or numeric identifier for language is called Bhojpuri language code. Languages are designated by a two letter code and three letter code. 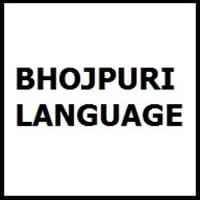 The Bhojpuri language code consists of ISO 639 1, ISO 639 2, ISO 639 3, Glottocode and Linguasphere. The Language codes are the codes for representation of names of languages. The ISO Language codes define abbreviations for languages. The ISO 639 is International Organization Standard for language codes which are used to establish internationally recognized codes for representation of languages. ISO Bhojpuri Language codes may be two letter codes or three letter codes. The ISO language codes were approved in 1967. ISO Bhojpuri Language codes are : ISO 639-1 code, ISO 639-2 code and ISO-3 code. ISO 639-2 is alpha-3 code and ISO 639-1 is the alpha-2 code. The ISO 639-2 code is divided into Bibliographic(B) and Terminological(T) codes which are denoted as ISO 639-2/B and ISO 639-2/T. 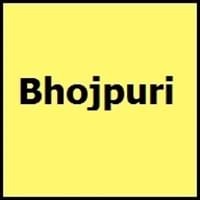 Codes for various languages can be found on Bhojpuri vs Korean, Bhojpuri vs Japanese,Bhojpuri vs French and Bhojpuri vs Spanish. Glottocode is one of codes which comes under Bhojpuri language codes. The bibliographic database of the world’s lesser-known languages is called Glottolog.